A 33-year-old man has been charged in connection with a fatal collision which happened in 2014. Young Noel Munyanyi, of no fixed abode, has been charged with dangerous and drink-driving offences following the crash in Leicester three years ago. 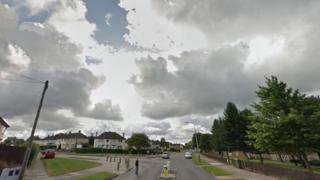 The passenger, Kainos Mupungu, 30, of Braunstone, was pronounced dead at the scene by paramedics. Police said Mr Munyanyi had been charged three years after the crash due to "continuing inquiries". A Leicestershire Police spokeswoman said the collision occurred in the early hours of 4 May 2014 when a red Mazda Coupe lost control in Aikman Avenue, near the junction with Pindar Road. Mr Munyanyi has been charged with death by dangerous driving and death by careless driving whilst unfit through drink. He appeared at Leicester Magistrates' Court and was remanded in custody. The inquest, which took place in August 2015, concluded Mr Mupungu died in a road traffic collision.